Daniel Morgan’s work focuses largely on the intersection between cinema and aesthetics. He has written extensively on André Bazin and other figures within the history of film theory, and has also written about the broader implications posed by considerations of film form: the virtuosic camera movements of Max Ophuls; the perceptual games of Orson Welles; the shifts in subjectivity in Fritz Lang’s early films; the production of conceptual knowledge in Robert Gardner’s ethnographic documentaries; and the broader dynamics of camera movement and point of view. His first book, Late Godard and the Possibilities of Cinema (2012), is about the films and videos of Jean-Luc Godard since the late 1980s, especially Soigne ta droite (1987),Nouvelle vague (1990), and Allemagne 90 neuf zéro (1991)—as well as the video series, Histoire(s) du cinéma (1988-1998). Through detailed analyses of extended sequences, technical innovations, and formal experiments, the book argues for the importance of philosophical aesthetics for an understanding of Godard’s late work. It also takes up wider debates on film and politics; the representation of history; the place of nature in cinema; and the relation between film and other media. He is currently working on a book on the use of philosophical aesthetics for thinking about problems of cinema, with a particular focus on camera movement. He has also been writing on a range of topics that include: film theory; media theory, film style, and aesthetics; non-fiction films; and American avant-garde cinema. He is also co-authoring a book on film and philosophy with Richard Neer. Before joining Cinema and Media Studies in Fall 2013, he taught at the University of Pittsburgh. 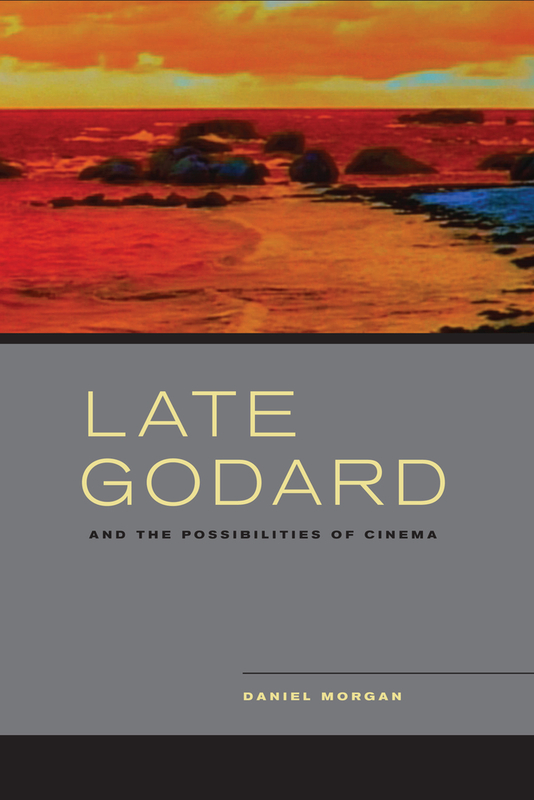 Late Godard and the Possibilities of Cinema (University of California Press, 2012). “Where Are We? : Camera Movements and the Problem of Point of View.” New Review of Film and Television Studies 14.2 (2016): 222-48. “Aesthetic Form and Ethnographic Discourse” in Looking with Robert Gardner, eds. Rebecca Meyers, William Rothman, and Charles Warren (State University of New York Press, 2016): 31-48. “Stanley Cavell: The Contingencies of Film and Its Theory” in Thinking in the Dark: Cinema, Theory, Practice, ed. Murray Pomerance and R. Barton Palmer (Rutgers University Press, 2015): 162-73. “Beyond Destiny and Design: Camera Movement in Fritz Lang’s German Films” in A Companion to Fritz Lang, ed. Joe McElhaney (Blackwell, 2015): 259-78. “’Play with Danger’: Vernacular Modernism and the Problem of Criticism.” New German Critique 122 (Summer 2014): 67-82. “Bazin’s Modernism.” Paragraph 36.1 (Spring 2013): 10-30. “Max Ophuls and the Limits of Virtuosity: On the Aesthetics and Ethics of Camera Movement.” Critical Inquiry 38 (Autumn 2011): 127-63. “The Afterlife of Superimposition” in Opening Bazin, eds. Dudley Andrew and Hervé Joubert-Laurencin (Oxford University Press, 2011): 127-41. “The Pause of the World” in Three Documentary Filmmakers: Errol Morris, Ross McElwee, Jean Rouch, ed. William Rothman (State University of New York Press, 2009): 139-56. “Rethinking Bazin: Ontology and Realist Aesthetics.” Critical Inquiry 32 (Spring 2006): 443-81.